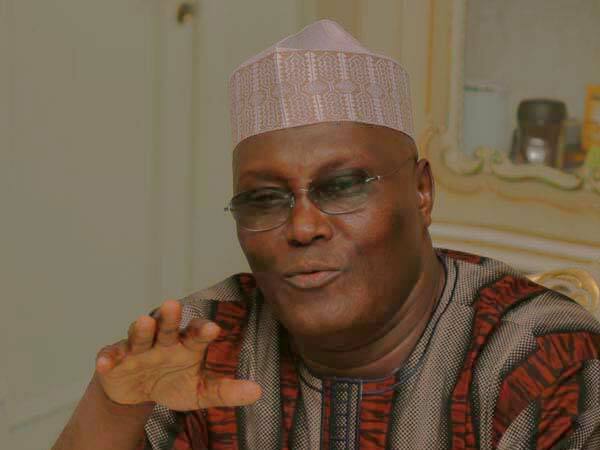 Former Vice-President Atiku Abubakar has said there is a future in farming and a greater future in agriculture. Atiku made this known at the groundbreaking ceremony of the Rico Gado Nutrition, which he co-owns with Rico Gado Nutracao, a livestock feeds company in Abuja on Saturday. According to him, agriculture will contribute to job creation, technology transfer and a progressive change in the farming culture in Nigeria. “Despite the doubts about our economy because of current challenges, we are confident about Nigeria’s future and about our future. “I think I speak for my partners in this joint venture when I say: We know what we are getting into, and we’re doing it because we believe in Nigeria. “We believe that Nigeria will overcome its current difficulties because we believe our nation will change for the better. “I believe that agriculture is a key ingredient in our nation’s future fortunes. He expressed optimism that the business would increase agricultural productivity, help farmers adapt to a changing world, feed the population, feed neighbouring countries and ultimately the World. Atiku said the feed mill was no magic to solving the nation’s problems, but “a small piece in a big puzzle that will make our agricultural sector more attractive and more productive. “It is a small piece in the even bigger puzzle that will get us over our addiction to fossil fuels, and over our reliance on rent-seeking enterprises. Also, the Speaker of House of Representatives, Rep. Yakubu Dogara, said the house was “looking at laws governing businesses in Nigeria, especially small and medium scale businesses. “This event speaks to the future of this country. Imagine two million Nigerians employing 40 people each. That will generate employment for 80 million people. The Minister of Agriculture and Rural Development, Audu Ogbeh, said emphasis had always been on free trade, but never on fair trade. Ogbeh said all other sectors had been sacrificed on the altar of the oil sector, adding that unless people in the rural areas were engaged in agriculture, all the effort would be in vain. He described as unfair the situation where everything was imported, including “tomato paste, sugar and even toothpick which gulped 80 million dollars per annum. According to him, for agriculture to be successful we need certain adjustments in policy. Ogbeh said with the population rate of the country it would be impossible to feed the teeming populace in some years time if farming was not embraced. João Barreiro da Silva, who spoke on behalf of Rico Gado Nutrition, said the company was a success in Yola, partly because 95 per cent of the work-force and 100 per cent of raw materials were sourced locally. “These raw materials were tested by reputable laboratories and animal nutritionists in the EU as well as NAFDAC, both certified their nutritional requirements for livestock. “The Abuja factory is expected to be constructed within 32 weeks. Its capacity will more than double that of Yola thus, producing over 120 tonnes of assorted livestock feeds, per annum, meaning 50 tonnes per hour. “This is in realisation of the huge potential of the Nigerian economy, which is the largest in Africa,’’ Barreiro da Silva said.